What makes Metrozone a coveted residential address in Chennai? Upper East Side in New York. Hyde Park in London. Malabar Hill in Mumbai. Sunder Nagar in Delhi. Jubilee Hills in Hyderabad. The common thread tying these residential neighbourhoods is their desirability quotient. They are commonly referred to as posh, upper class neighbourhoods. However, more than wealth, these neighbourhoods are steeped in culture, architecture and urban vibes. They are well connected to the city centre and yet provide a very homely, suburban ambience. Many urbanites will confess to coveting famous neighbourhoods like these as their address. Anna Nagar West in Chennai is a similar premium residential neighbourhood. It is located next to Anna Nagar and Mogappair in west Chennai. The Metrozone – a sprawling development by Ozone Group is the new coveted address in Anna Nagar. Anna Nagar West where The Metrozone is located is easily a winner in terms of location. Travel to most places in and around Chennai as well as beyond is enabled by a good road network as well as bus, rail and metro connectivity. Grand Northern Trunk Road, the EVR Periyar Road and the New Avadi Road are some major roads that pass through Anna Nagar West. The bus terminal here is busy and much utilised for travel to various parts such as Ambattur and Redhills in the west to Broadway and Thiruvanmiyur in the east and south. The Chennai Metro provides connectivity to the bus terminus and International airport. Various workplaces in Chennai are easily accessible. One Indiabulls Park and Ambit IT Park are two of Chennai’s main IT parks and top hubs of employment. The Ambattur Industrial Estate is approximately 5 kms away while the New Avadi Road provides access to Avadi where many government and military offices are located, and Perambur which houses the railway coach maker – Integral Coach Factory. EVR Periyar Road connects Anna Nagar directly to Sriperumbudur which is a manufacturing hub and home to Hyundai, BMW, Ford, Motorola and Dell among others. Relative ease of travel to workplaces is a major factor while house-hunting and The Metrozone scores well in this regard. A beautiful, spacious home is a haven. It is a space one looks forward to coming home to despite the challenges one faces. At The Metrozone one can choose from a variety of configurations and style of residences. This includes the regular but well designed 1, 2 and 3 BHK apartments as well as stylish and luxurious 3, 4 and 5 BHK penthouses with spacious guest suites too. The Metrozone is a 40 acre luxury residential project which features 29 elegant towers and bespoke designed residences. Residential townships and gated communities with their private roads and spaces are most suitable for raising young families and providing a community atmosphere for elder citizens as well. A plethora of amenities at The Metrozone are designed for family activities and leisure. These include a massive 62,000 sq. ft. clubhouse, jogging track, sports amenities, several play areas for children and as many as 5 swimming pools – 1 exclusively for women! In addition to all this is a creche within the premises where can the little ones can be lovingly cared for while parents getting some time to recharge or go to work. 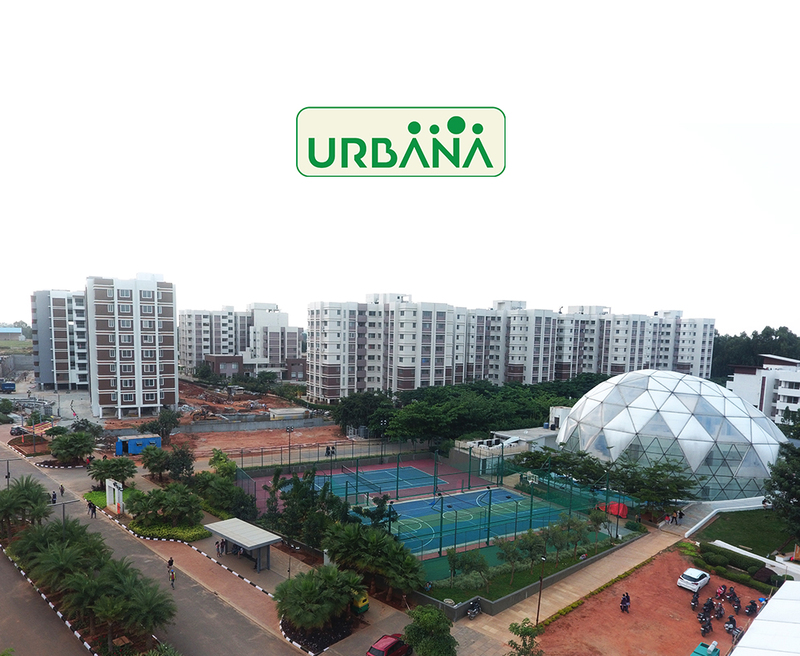 Quick and easy access to health and sports amenities is a big attraction of residential townships. In most cities and urban dwellings, residents need to get memberships to their local clubs, gymkhanas and fitness centers. This also involves travelling to get to these places which reduces the best one can get out of these facilities. However, when your favourite activity is right next door or just an elevator ride away, one is more committed to that resolution to get healthy and fitter. At The Metrozone, 70% open spaces include thematic gardens and parks which ensures clean, fresh air and sufficient space to relax and recharge. Life in big cities is not child’s play. Residential communities that offer safe homes, reliable and tech-enabled security are always at the top of any homebuyer’s list. 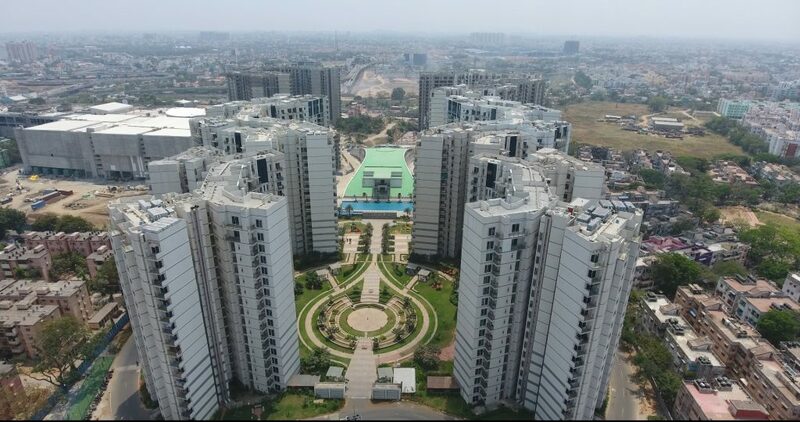 The Metrozone offers its residents best-in-class security which is embellished by the unique access control at entry level which restricts access to bonafide residents only and those guests vetted by residents. Comprehensive, round-the-clock maintenance has also been provided to ensure residents can enjoy life and not worry about smaller, peripheral matters. The Ozone Group proudly presents The Metrozone at Anna Nagar West in Chennai. This premium residential address boasts luxury amenities and facilities that make it the preferred choice of residence in Chennai for professionals and elites. In addition to bespoke residences, more amenities than one can enjoy and wide, open, green spaces, The Metrozone will also boast of a million sq. ft. integrated Mall within the premises. One more reason to step out of the gates of The Metrozone unless absolutely necessary. When you choose to live at The Metrozone you choose to live a class apart.